I’m still mourning the loss of my angel Pebbles daily. I can’t believe it’s already been 16 months without her. But, since she brought so much joy to the world, I want to celebrate the life I had with her! 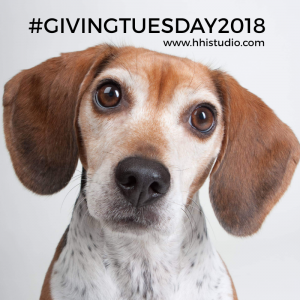 So, I’ve decided to participate in Giving Tuesday 2018! I miss Pebbles daily. But, I’m determined to celebrate the life I had with her, and that includes giving back with GivingTuesday2018! 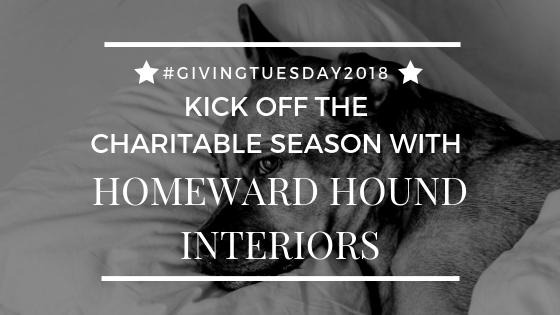 Homeward Hound Interiors will donate 30% of each online video consultation or “pick the designer’s brain” consultation purchased through Friday. Because of my deep love for these rescues, I will be donating to Rescue + Freedom Project, Lost Dog & Cat Rescue Foundation, and Dog World Rescue. For more information on these three organizations, please read this recent blog post! My Giving Tuesday 2018 offer will end on November 30, 2018 at 11:59pm Pacific. Please schedule your consultation prior to January 31, 2019. This offer makes a great gift for the dog or cat lover in your life, too. If purchased as a gift, I will provide a gift certificate and special thank you for the recipient. If you have questions, please contact me directly at kayla@hhistudio.com. How do I sign up? What do I do next? When you’re ready to move forward, please visit this page, and select the consultation you’d like to purchase. After that, you will need to fill out the questions and select your preferred consultation date/time. Payment is due in full and will be processed by Calendly and PayPal. You do not need a PayPal account to purchase. After you’ve paid and submitted your request, I will review, and be in touch with a questionnaire within 24 hours of purchase. Also, if you plan on gifting one of these consultations, I will also include a special thank you and gift certificate that you can print, and share with the recipient. Thank you for your support in helping these organizations do what they do best for animals in this area, nation, and world! 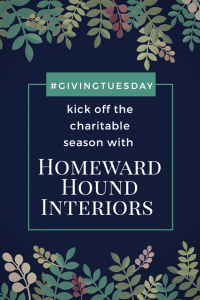 Kick off the 2018 charitable season with Giving Tuesday 2018.